I have loved poke ever since visiting Hawaii last February. I am thrilled that more and more poke shops are opening up in NYC. 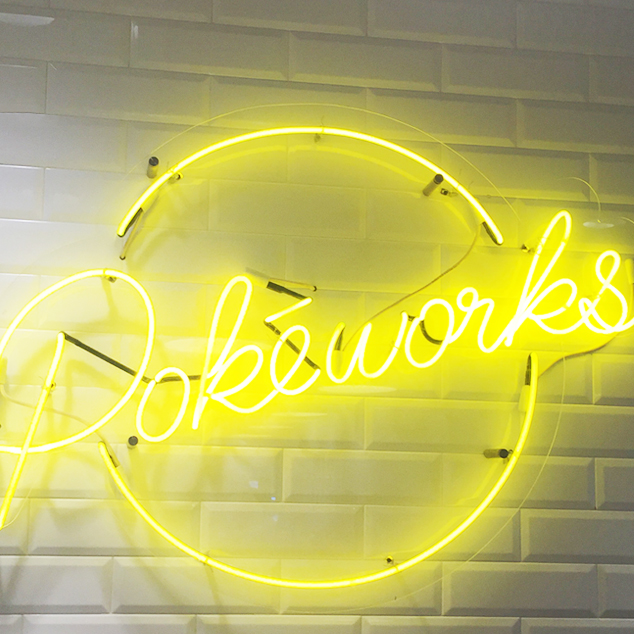 During my first visit to Pokeworks I tried a make-your-own poke bowl and a poke burrito. Even though the poke bowl had many ingredients, I found it lacking in flavor. 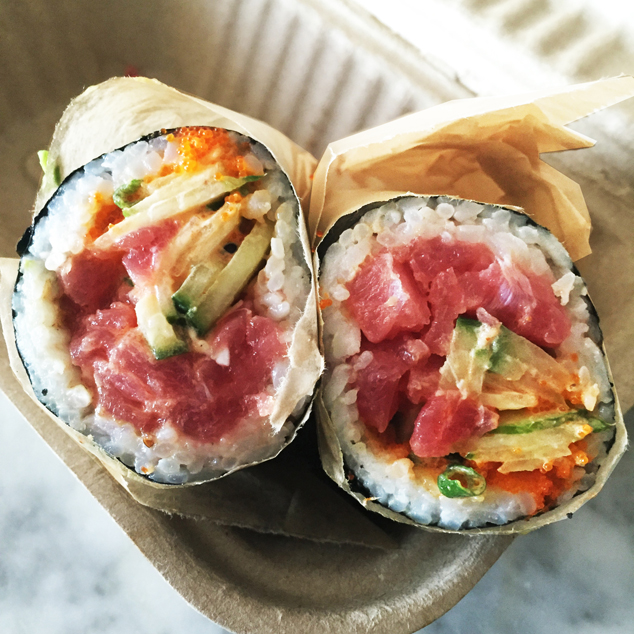 I was a much bigger fan of the poke burrito- the seaweed on the outside added some much needed salt to the poke. I would certainly visit Pokeworks again for the poke burrito. However, I wouldn't go out of my way to eat at this hole-in-the-wall spot. 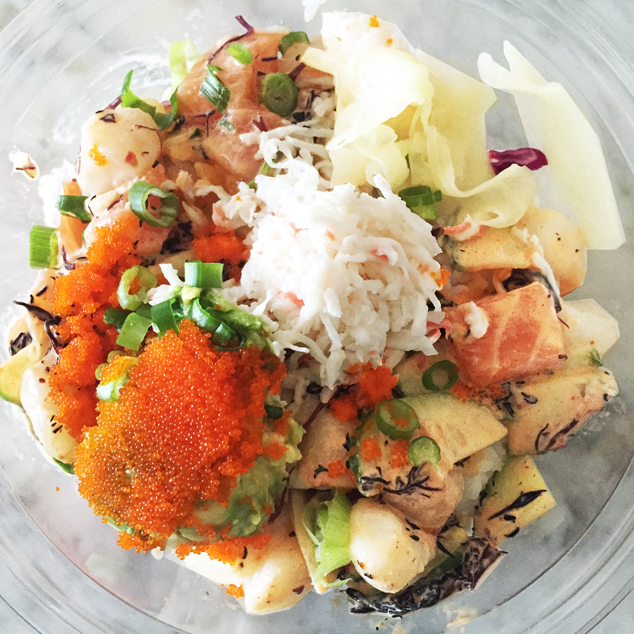 I will forever be dreaming of Fresh Catch from Honolulu- that restaurant serves the real deal poke.